Bass Guitar Lessons in Leeds - Professional, Trusted Tutors. Do you want to learn bass guitar? Thinking of taking bass guitar lessons in Leeds? With Music Tutors, you can learn to play like awesome bassists Flea and Victor Wooten with bass guitar lessons in Leeds from a high-quality professional music tutor. Get in touch with one of our great bass guitar tutors and you could start seeing rapid progress today! It doesn’t matter if you’ve just picked up the instrument for the first time or already have playing experience, we can match you with a tutor who can give bass guitar lessons in Leeds tailored to you! Get in touch today for 50% off the first of your bass guitar lessons in Leeds! At MusicTutors.co.uk we understand that life can get crazy. That's why our range of amazing tutors offer the option to give bass guitar lessons in Leeds at your own house! Speak to one of our great bass guitar tutors today to organise bass guitar lessons at a time and place that works around your busy schedule. Try the first of your bass guitar lessons in Leeds for half price! Do I Need My Own Bass for Bass Guitar Lessons in Leeds? It's always a good idea to have your own bass guitar and amp so you can get practising between lessons. Your new bass guitar teacher will be able to advise you on what bass guitar to buy, and the best way to make sure bass guitar is the instrument for you and your bass guitar lessons in Leeds! Have a read below of what our MusicTutors team has to say about taking bass guitar lessons, and for more information click here. Finding safety-assured bass guitar lessons in Leeds can be tricky. At MusicTutors, we are committed to bringing regulation into private music tuition. All of our tutors have been through a recruitment process to ensure the quality of musicianship as well as teaching ability. Additionally, all of our bass guitar tutors must hold the Enhanced DBS Certificate before they can teach with us, building a community of trust between students, teachers, and parents. You can rest easy knowing that your bass guitar lessons in Leeds are as safe as they can be! Not Sure About Bass Guitar Lessons in Leeds? As you’ve become inspired to take bass guitar lessons in Leeds, you may have seen people play the instrument in different ways. Traditionally, the bass guitar strings are plucked with two of your fingers. This method is taken from the bass guitar's older relative: the double bass. However, different methods of playing the instrument have developed since then too. You may have heard of 'slap bass', a technique that produces a deep percussive timbre which sounds amazing at high speeds. You might have also seen bassists using a pick, much like guitarists do. All three of these methods are valid ways of playing. However, it all depends on the genre! Typically, you wouldn't use a pick in jazz playing, or slap bass in pop, but who's to say you can't mix it up! You can explore this with your teacher in your bass guitar lessons in Leeds. Buying Your First Bass for Bass Guitar Lessons in Leeds? 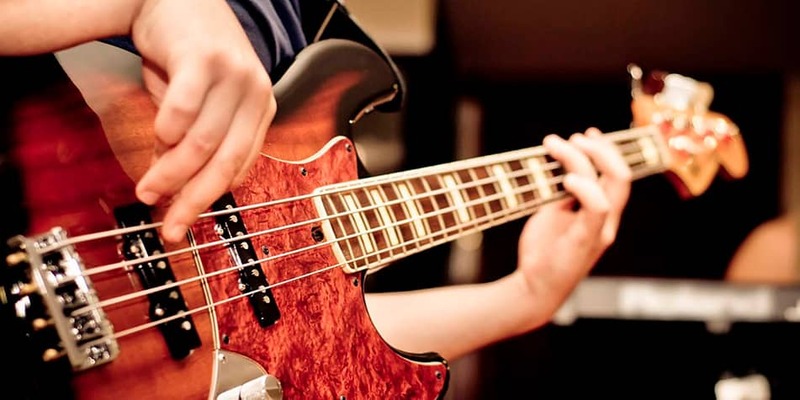 Presuming that you have decided to take bass guitar lessons in Leeds with an electric bass, it is likely that you will come across the terms 'Precision Bass' and 'Jazz Bass'. These are the two most well-known types of bass guitar produced by Fender. However, other companies also produce instruments based on these designs, sometimes calling them P style, or J body - so it is good to know the differences between the two. Tuning is another obstacle that guitarists and bassists need to learn in the early stages. In fact, we recommend that it is one of the first things you learn. To get you started, you can purchase a tuner which will tell you if the bass notes are sharp or flat. An alternative way is to tune to a Piano. To do this you would play the E-A-D-and G notes on a Piano and then compare the two notes. Spend some time trying to match the open string notes to the piano notes, turning the pegs only a tiny bit each time. This will be harder at the beginning because we are training our ears and trying to understand new and abstract concepts. But mastering this will improve your musical ear from the start. Your teacher can help you with this in your first bass guitar lessons in Leeds. Something you can't explore fully within your bass guitar lessons is playing with a whole band of other people - this is definitely recommended though! And when taking bass guitar lessons in Leeds, there's really no excuse as there's so much to get involved in! In a pop and rock context, the bass takes on a unique role that almost has more in common with the drums than the guitar or vocals. Together, the bass and drums make the 'rhythm section', and they lead the band together. Often, the rhythms in the bass will be similar to the rhythms in the drums - this is called “locking in”. For example, you may play the same rhythm as the bass drum, or you might elaborate that with some of the rhythms from the snare or toms. Although a simple concept to understand, it is difficult to master playing perfectly in time with other insturments. But like everything - we get better with practise! Here’s what we suggest: make friends with a drummer and get together just the two of you - here, you can practise just playing at the exact same time as the bass drum. Once you have this down, you’ll find playing with a full band, where there are other rhythms and melodies going on, everything will sound tighter and more together. 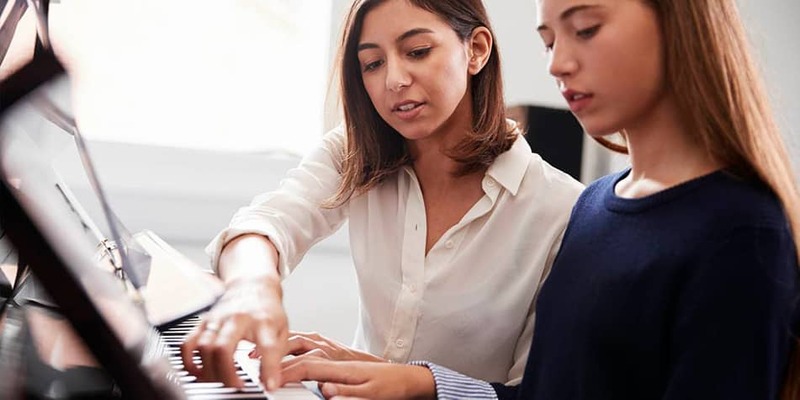 At MusicTutors, we are always there to help connect students with their perfect tutor. If you have any questions about bass guitar lessons in Leeds, call us on 07946 125613 or get in touch by e-mail [email protected]. We look forward to hearing from you!